Swan Rangers Ski Krause Loop! 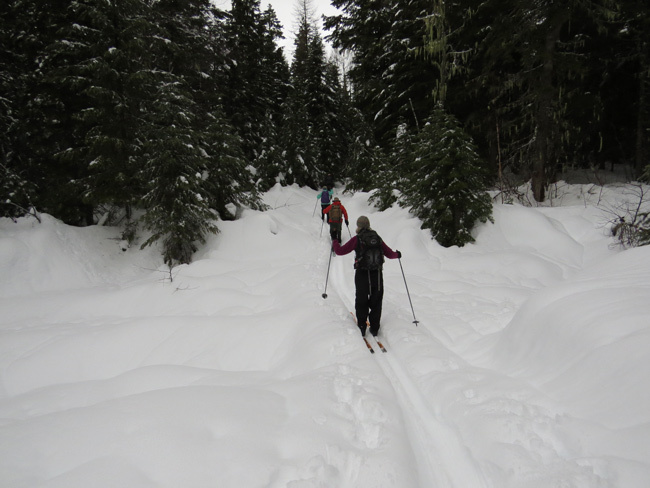 Nine Swan Rangers skied a loop in Krause Basin on a slightly soggy Saturday, February 3, 2018! They went up through Cottonwood Bottom then returned via the Strawberry Lake Road, which is a nice glide except for the plowed last mile! Looming sky but not raining like yesterday was! 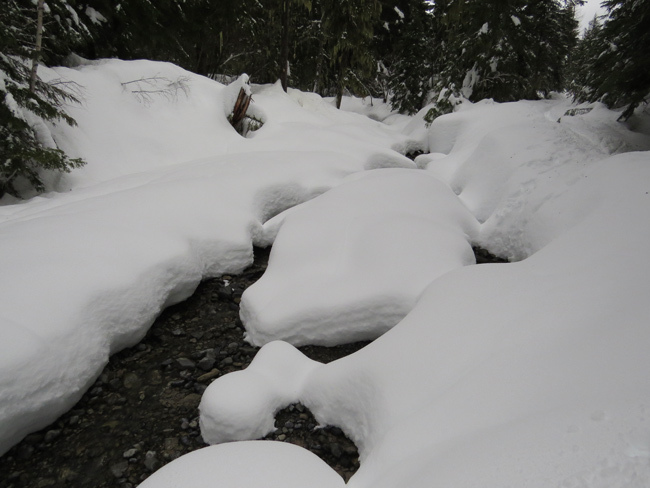 No sign of flow yet at the lower crossing of Krause Creek, in spite of recent rains . . .
. . . but the snow is getting rilled as the moisture migrates downhill toward streams! 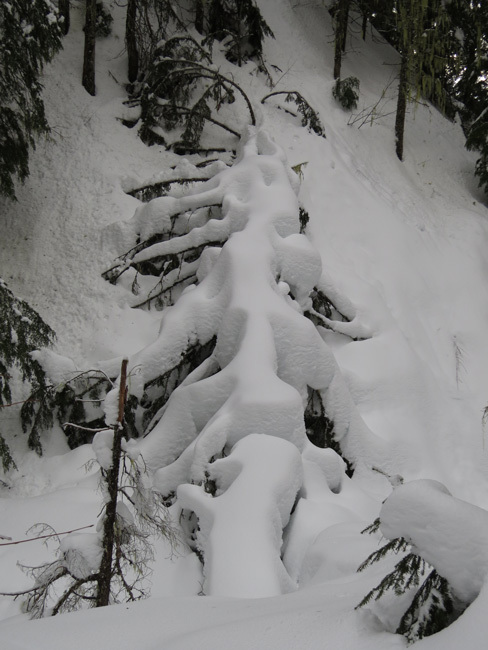 Deep snow on a fallen tree makes for interesting shapes! 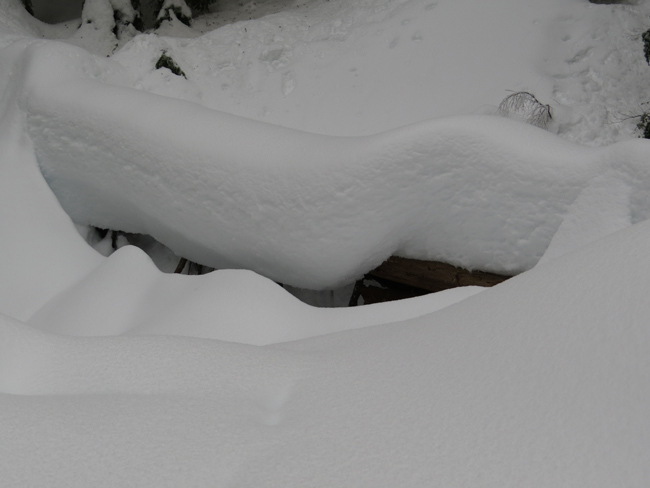 The deep snow is doing a slow roll off this log! 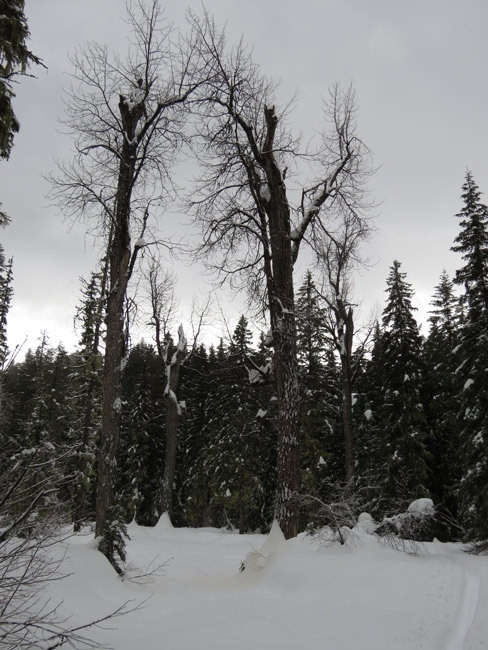 Big trees trying to look spooky at Cottonwood Bottom! 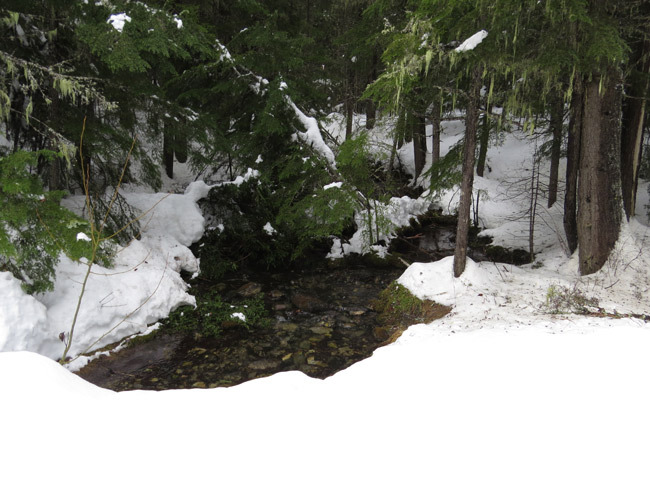 This spring along Strawberry Lake Road is the major source of Echo Creek! 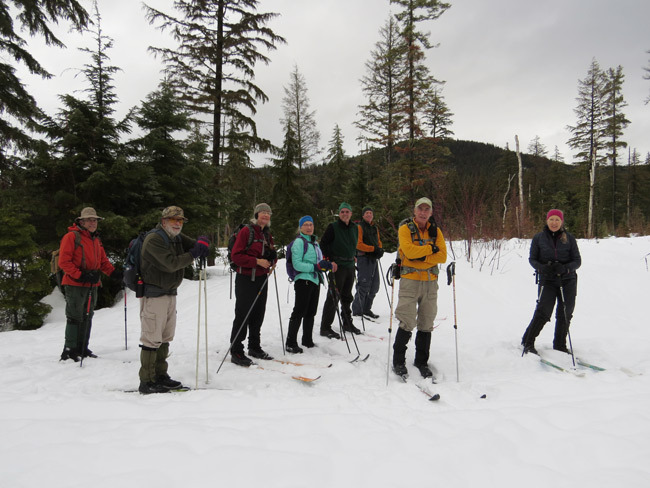 The Swan Rangers meet every Saturday at the Echo Lake Cafe for breakfast at 8:30, leaving at 9:30 for a partial day outing in the northern Swan Mountains and foothills. They carpool from the Swan River School parking lot next to the Cafe. 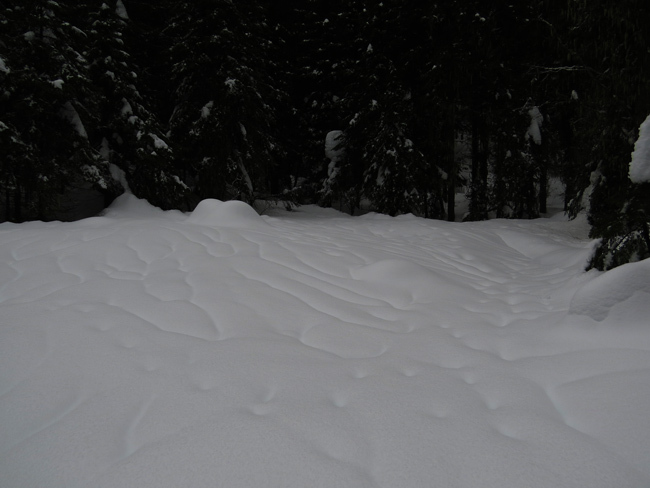 When hiking or skiing in bear country, remember to carry bear spray and avoid the 3-D's: dawn, dusk, and darkness.